When you attach ‘first time’ to anything, it opens you up to a whole bunch of unsolicited advice. Just ask any ‘first time parent’. They’ll tell you of the flood of advice that comes from everyone from the Supermarket checkout operator to neighbours, workmates, friends and parents. It’s the same for home buyers. But just as with parenting ‘advice’, home buying advice quality varies greatly: there is good and there is questionable. There is knowledgeable and expert. There is inaccurate hearsay. There are generational differences. The advice can even come from people who haven’t stepped into the market for decades or more. As a first-time home buyer, the most important thing to remember (just like with children) is that the only person who can understand your unique position is you. You alone have to ‘own’ your home-buying journey…even if your parents are propping you up with support (because that is very, very common). First home buyers (or FHB’s s we call them in our data analysis) are having a very definite moment in NZ property: the March/April Property Market & Economic Update noted that they’re more active than they have been at any point over the last 4-5 years. In this article, we focus on two of the major issues FHB’s face: organising finances and property research. We point you in the right direction to access some helpful tools, so that you can smile and say ‘thanks’ to all that ‘helpful’ advice offered, but be confident in your own knowledge. 1. Getting your finances sorted. Until you know what you can afford, it’s pointless watch-listing properties or trudging around Open Homes. You need to know your parameters and any areas of your financial record you need to address before you start on the whole home-buying journey. This is an excellent round-up of what you need to be across. Take a deep breath and dive on in. Go on. If you‘ve belonged to your KiwiSaver scheme for at least 3 years, you may be able to apply to withdraw all except $1,000 of your KiwiSaver savings towards buying your first home. But there are conditions: you’ve got to intend to live in the property so it can’t be used to purchase investment property. Also worth researching is that not all complying funds allow First Home withdrawals, so you will definitely need to understand what yours allows. Sometimes, a real-life case study helps to picture your situation too, so read this. After 3 years of regularly contributing to KiwiSaver, you may be entitled to the HomeStart Grant. It’s available on old/existing homes or new/buying off the pans/land to build situations, up to a maximum of $5,000 for an older/existing home or $10,000 for a ‘new’ home. If you are buying a property with other people, a maximum of $10,000 worth of grants will be available on an old/existing property and $20,000 for a new home/purchase of land. You can only receive this grant once and there are eligibility conditions (including income caps) to meet. It’s really important to understand that Housing New Zealand need at least four weeks/20 working days from receiving an application through to paying out the KiwiSaver HomeStart grant. If you are applying for the grant in order to meet the financial conditions of your agreement for sale and purchase, you have to do so at least 10 working days prior to the unconditional date. Find out more or apply online. Debate has been raging on the difficulty of building up a deposit ever since the Reserve Bank introduced higher LVR restrictions (loan to value ratios). In November 2017 however, the Reserve Bank of New Zealand announced a moderate easing of LVR restrictions, effective from 1 January 2018: a 5% lift in the amount of ‘less-than-20% deposit’ loans that a bank can write for owner occupiers. So, it’s worth researching your mortgage options actively across lenders before you begin. Your chosen lender will provide advice on your personal situation and any areas to address. Offered by lenders, supported by Housing New Zealand, and, designed for first home buyers who can afford to make regular repayments on a home loan, but have trouble saving for a large deposit: a Welcome Home Loan only needs a 10% deposit. You need to meet the lender’s specific lending criteria, you may have to pay a low equity fee (depending on the lender) and regional house price caps do apply. Visit their website for more information, including case studies, lender options and FAQs. Once you know what you can afford, it’s time to start looking. This is where the advice hotline really starts to hum, because property is our national obsession. Residential real estate accounts for a whopping $1.07 trillion (with $248 billion in home loans) of our national asset class. By comparison, NZ listed stocks are $130 billion and KiwiSaver/Superannuation area measly $79 billion. When everyone has a property story to tell, everyone has an opinion. But the reality is that the property market dynamic moves like no other. Even experts can be taken by surprise sometimes, so it definitely pays to be actively up to date: and we’re not just talking the snippets you see in the news headlines. QV.co.nz has excellent localised recent data available. You can look up your area of interest for house values and sales prices, Buy reports on any property in NZ keep across the latest reports and news and perhaps most importantly, receive our monthly newsletter direct from our Research team, sign up for that here. You’ll also find this recommended read for property research once you think you’ve found ‘your’ property and a concise property checklist, perfect for Open Homes. Speaking of Open Homes, don’t forget to download the QV Homeguide app – available for both android and apple. A new resource, but an extremely helpful one: https://www.settled.govt.nz/by the Real Estate Authority has lots of fantastic independent information, including checklists and videos. For general info on government support that may be available to you: this is a great source. 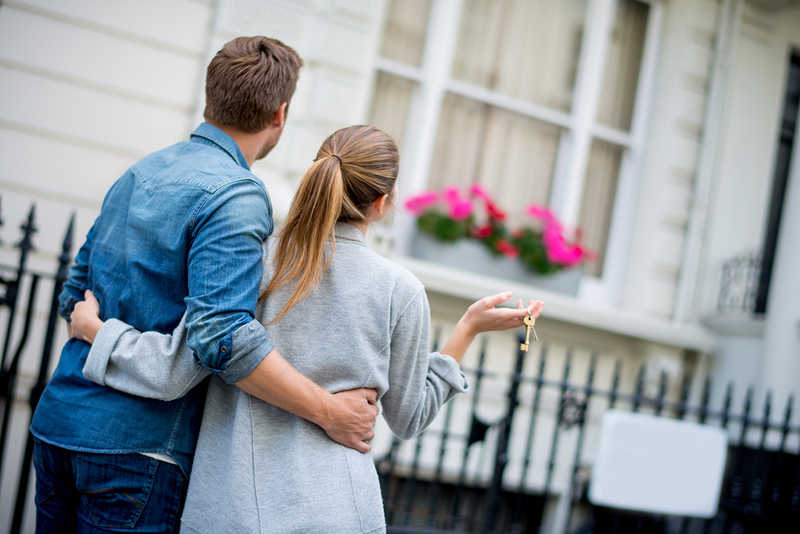 You’ve now got some great resources to delve into on your First Home Buyer journey.